Do you speak the truth in your workplace? I have recently been the subject false witness. This can happen in the workplace. Satan can even sift Catholic communities if people have little concern for the Truth and have consciences that are not properly formed. The Catechism is full of wonderful reflections. 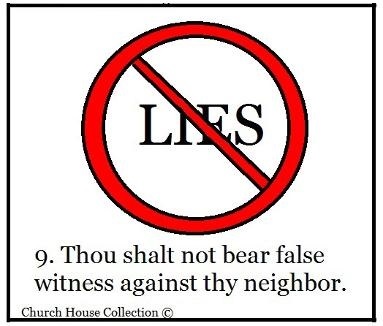 Perhaps you may not know that misrepresenting the truth in your relationships with others is against the eighth commandment. Anyway, it may be that this blog brings you some needed clarity for your life.